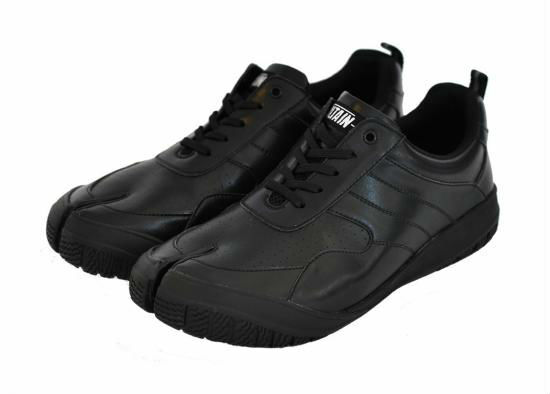 Valtain-X, made by Okamoto Seiko, are performance running tabi in stylish black. The tabi-style separated toe provide allows for greater grip, kick and speed giving enhanced performance and comfort. The heel has an added shock-absorbing cushion. 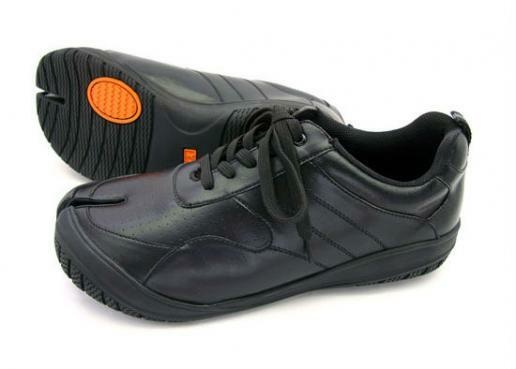 The uppers of these shoes are made from artificial leather and synthetic fibers, the soles are EVA sponge and rubber.